1: Bonded by glue, the surface of the kraft paper is glued by itself, the advantage of this method is high production efficiency, prompt delivery, low production cost, the daily output can reach 30 tons. 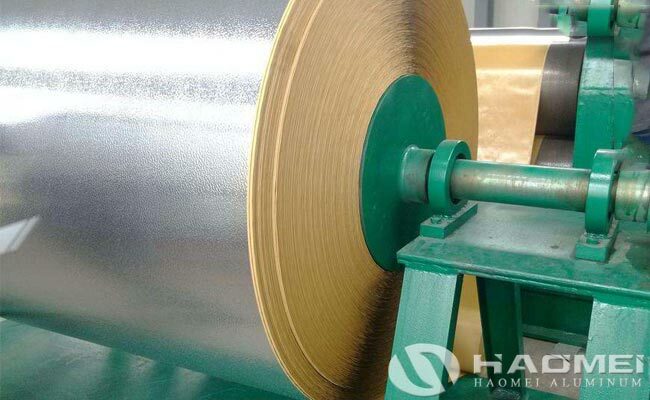 The shortcoming is that due to temperature changes, the surface of the kraft paper is prone to bubbles, which affects the bonding effect, and the storage time in the open air should not be too long. 2: the kraft paper and the stucco aluminum sheet are bonded together by heating. The advantage of this product is that the adhesion is very high, the water immersion test does not open the glue for 24 hours, and does not fall off. The weather resistance is extremely high, and the kraft paper is not affected by temperature changes, and the disadvantage is that the production efficiency is slow and the production cost is too high.